I’m part of a project where we can solve approximately 200 dekstop (PC base POS) security updates. This PCs are connecting to our company HQ by VPN over 3G connection. This is a limited size usage solution, so we have only x GB traffic in one month for whole environment. If we overuse this we will pay for our provider. 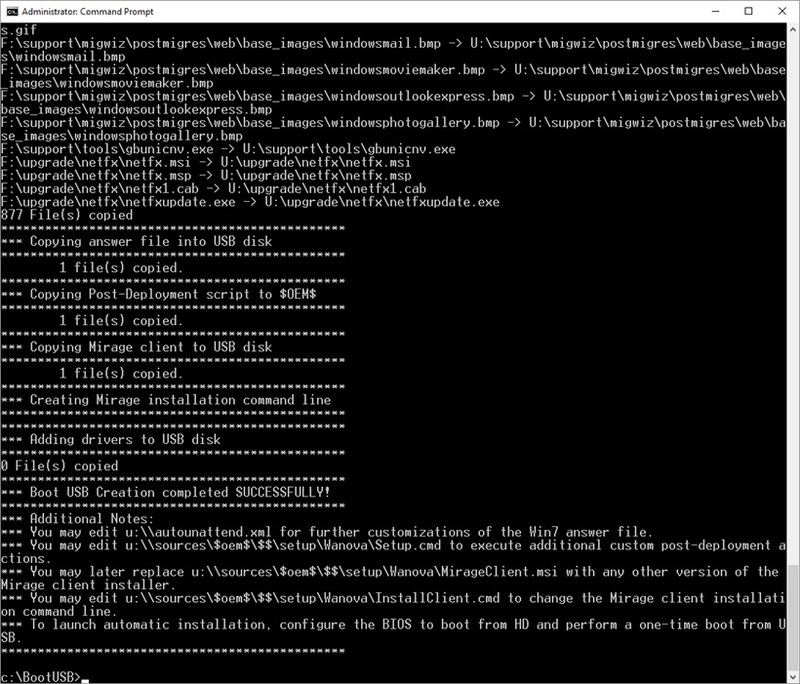 It was the main reason why we have started install the VMware Mirage system to try it. We tried the latest case in our POC system. 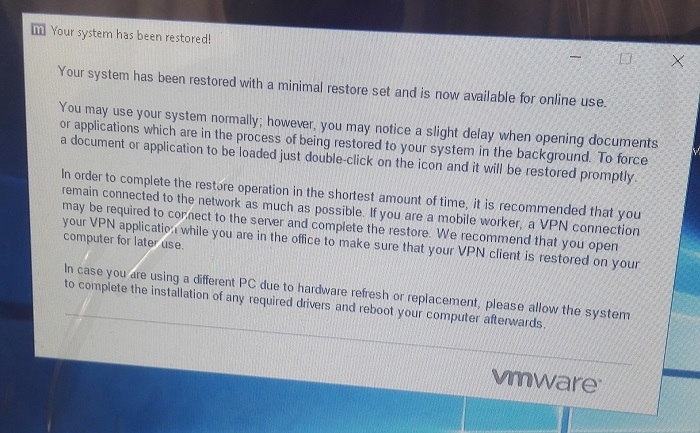 The original conception was that: we remove a Windows security update manually from PC, and Mirage should have restored it to previously status. We uninstalled the update, restarted the PC, and we couldn’t believe our eyes. Windows crashed! Ok, don’t panic, it should have been a real situation. Let’s look what we can do in this situation?! 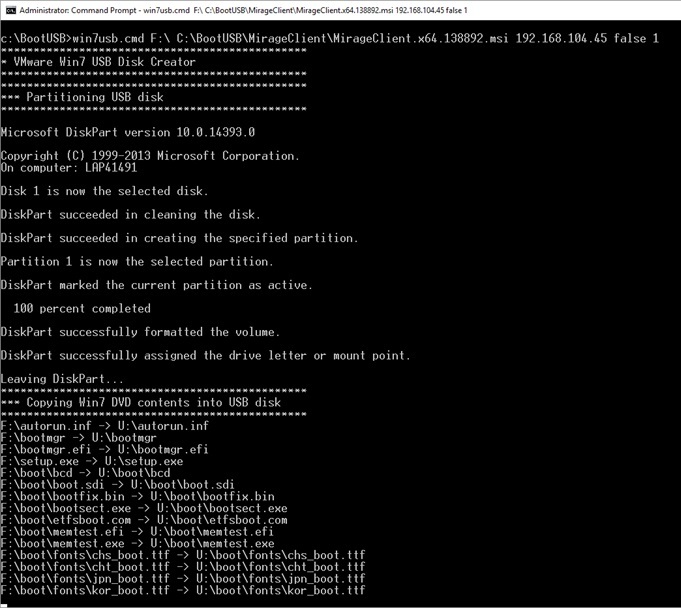 Follow steps in the article that you can create a bootable USB pendrive wich consist of VMware Mirage Agent. When you have connection between PC and Mirage server, the server will recognize the PC. Right click and select restore option, and follow the wizard. On the PC’s sceen you will see similar this. This entry was posted in VMware and tagged Horizon Mirage, Mirage, VMware, VMware Horizon Mirage. Bookmark the permalink. What is very good about this is that Mirage did NOT download the full image in order to recover this PC but it has only downloaded the delta.